The Committee on Undergraduate Curriculum influences student curricular issues ranging from the creation of new minors to the archiving of syllabi on Esther. Student Association members who are representatives of the Committee on Undergraduate Curriculum are adopting a new practice this year and updating the SA after every CUC meeting, according to CUC Student Representative Nicole Moody. CUC Chair Susan McIntosh moderates the meetings. McIntosh said the CUC and the Faculty Senate, which is made up of only faculty members, often receive proposals simultaneously. Sometimes, problems are brought to the CUC by the Faculty Senate, but the CUC itself has also raised issues in the past, such as classroom size. Vice President of the Administration and Registrar David Tenney (Sid Richardson ’87) said the CUC oversees proposals regarding the undergraduate curriculum, including creation of a new major or new minor and distribution, transfer and advanced placement credit. Tenney serves as a non-voting advisor to the CUC and said he was involved in the add-drop proposal, as well as the creation of the neuroscience minor and the new Center for Civic Leadership certificate. Student Association President Ravi Sheth said the SA appoints four representatives to the CUC each year who are responsible for gathering and representing undergraduate opinion, as well as sharing the activities of the CUC with the undergraduate body. Moody said the CUC student representatives will give an update about the CUC after every meeting at Senate. 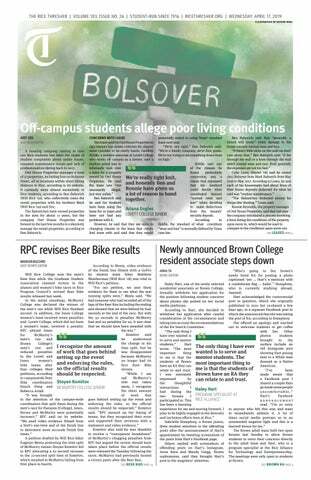 University Court Chair Brian Baran was one of the student writers opposing the CUC’s add-drop proposal. Baran said the student representatives to the CUC are one piece of providing student input, but those students may not be able to represent every perspective in the student body without additional input. Baran said good communication depends on the SA executive committee as well. "It's not just the CUC deciding when to provide information; it's also when the SA officers feel the need to bring something before the larger student body," Baran said. "There are choices both on the part of these faculty or university committees and on the part of the SA leadership that are involved in deciding when proposals come in from of the student body as a whole." According to McIntosh, the Faculty Senate recommends potential CUC members to the president, who appoints them, after which the Student Association is asked for nominations for student representatives. The CUC is further broken down into subcommittees, each of which has a student representative. CUC Student Representative Kristi Fu said she believes the CUC likes to have student input, but that the 90-minute meetings may not be long enough to achieve student input. McIntosh said faculty members have difficulty scheduling times to meet as the CUC, which is why more frequent or longer meetings are not possible. She also said while some committees may not have faculty representatives from all academic departments, the committees try to contact all stakeholders. The committees also bring topics to the CUC as a whole, which has more representation. According to McIntosh, some issues that the CUC has addressed recently include a way to create international exchange programs for Rice students. Tenney said the CUC had also been working on a Rice Center for Engineering Leadership certificate.